Haha Shri...awesome...haha how really how could you think of this?? Thanks Sfurti.. It was by chance that I saw these!! Thanks a lot Sfurti. Thanks for the badge. Hey those are awesome! Alas! I am a vegetarian..lolzz! Lol...trust you to come up with this. Thanks for the laugh! 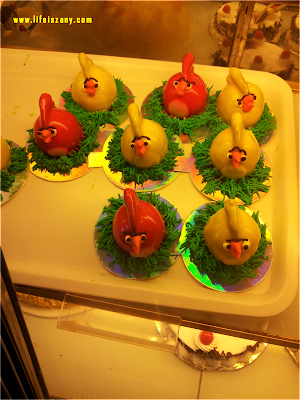 Those are some really angry birds. Thanks Ritu :) Glad you liked it!! where is the reply to my comment ? ?